The Central Water Commission (CWC) is a premier Technical Organization of India in the field of Water Resources and is functioning as an attached office of the Ministry of Water Resources, River Development and Ganga Rejuvenation. The Commission is entrusted with the general responsibilities of initiating and coordinating in consultation with the State Governments concerned, schemes for control, conservation and utilization of water resources throughout the country, for the purpose of Flood Control, Irrigation, Navigation, Drinking Water Supply and Hydro Power Development. The Dam Safety Organization (DSO) is one of the design and research wings of CWC. This organization is performing a coordinative and advisory role for the State Governments in assisting them to locate causes of potential distress in dams, to recommend measures and to lay down guidelines for dam safety monitoring. Also DSO is advising the State Governments and dam owning agencies on matters concerning inspection and review of the safety status of dams & instrumentation of dams, dam break studies and preparation of emergency action plans. Practically all dam safety and water resource projects are managed by Central Water Commissions. Having them as one of the beneficiary partners in this pilot project, already creates potential for up scaling of the pilot project to other dam and reservoir sites. 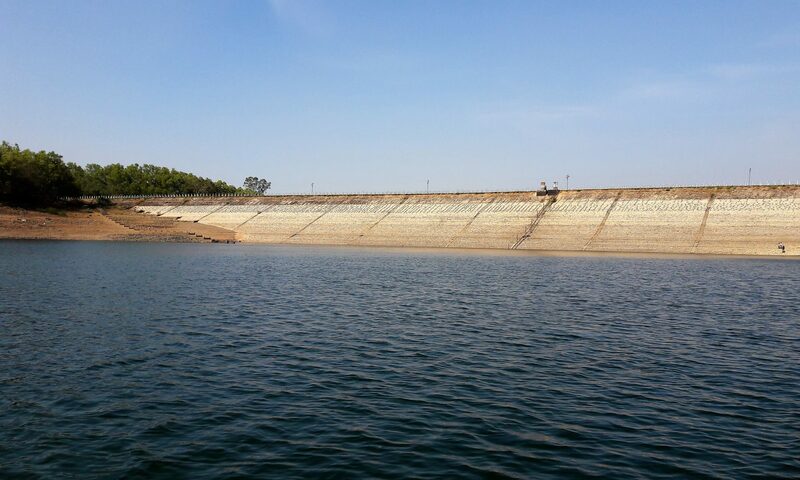 The Karnataka Water Resources Department (KWRD) is one of the major departments in the Government of Karnataka, headed by the Hon’ble Minister for Major and Medium Irrigation. The Department harnesses Surface Water for Irrigation and Drinking Water Purposes. The Water Resources Department consists of three major corporations- Krishna Bhagya Jala Nigam Limited (KBJNL), Karnataka Neeravari Nigam Limited (KNNL) and Cauvery Neeravari Nigam Limited (CNNL). These three corporations are a unique establishment of the state of Karnataka as these act as a special purpose vehicle for speedy implementation of irrigation projects and to enable the Government to borrow funds from external sources. In addition to these three corporations, there are some projects which are being handled by the Water Resources Department directly. Karnataka Water Resources Department joined the Dam Safety and Rehabilitation Project (DRIP) and proposed rehabilitation of 27 dams. Karnataka has in total 230 large dams and is keen to participate in the pilot project as is proven by their letter of commitment (see page iv), signed by a high level state government official. The Netherlands has extensive knowledge and experience in the field of water and water management and has thereby built up a good reputation internationally. The international demand for water knowledge is growing. And that offers opportunities for the Dutch water sector. The Partners for Water program was dedicated to supporting the Dutch water sector in capitalizing on these opportunities. The program has had a stimulating role in this; projects were supported in the initiating phase. The Partners for Water program was carried out by the Netherlands Enterprise Agency (RVO.nl) and the Netherlands Water Partnership (NWP) on behalf of the Ministries of Infrastructure and the Environment, Economic Affairs and Foreign Affairs. The international policy ambitions in the field of water of these three ministries were set out in Chapter 6 of the National Water Plan.